I bought a new plant, new in the sense that I have never grown it before. I planted it with special care and watched it grow, being careful to water and weed and mulch. I spoke to it regularly and lovingly. I grew excited when buds appeared and began to swell. Yesterday I saw the first hint of color as the buds were about to burst. This morning I went out to look at my new baby, and there she was…and she was beautiful. I saw my ‘Keiko’ Itoh peony blossoms for the first time. For certain it wasn’t the same as the first time I saw the beautiful faces of my newly born daughters, but it reminded me of those happy days. Welcoming a new plant into the garden involves much of the same emotions…dreams, planning, expectation, anticipation, and real joy when the little blossoms burst forth. 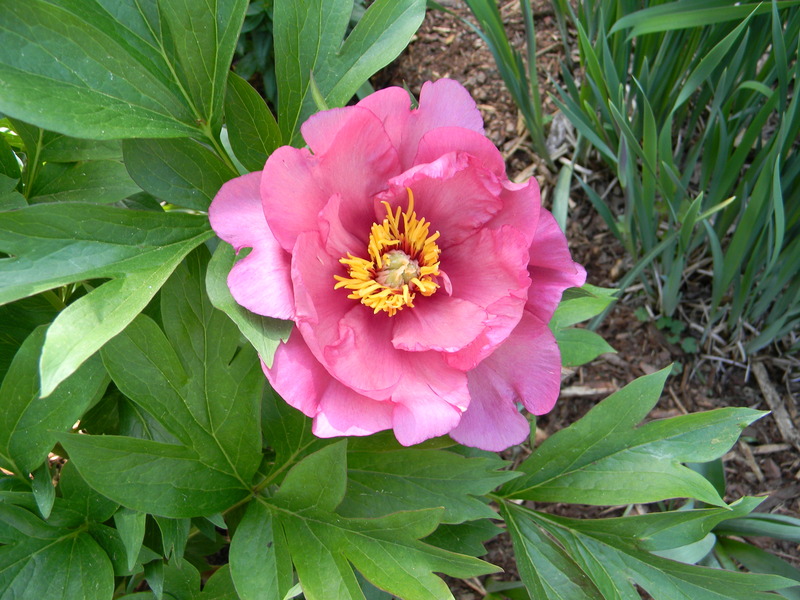 This entry was posted in Gardening and tagged Itoh peony, Keiko. Bookmark the permalink. What a beautiful sight. I send greeting to this peony in the wonderful gardening world of John Viccellio. The Peony is lovely. It reminds me of the old-fashioned peonies my grandmother had.